Information: Olga Kulbitsky, teacher and author of books about international folk dance. Olga was born July 16, 1914, in New York to Russian immigrants Nikifor and Stephanida Kulbitsky. Her family included sisters Nina, Helen, and Stephanie. She began her formal dance training at the age of seven, studying ballet under leading ballet masters. Early on, in addition to ballet, Olga studied ballroom dancing, tap, and other specialized dance forms, and she was completely versed in all the classical dance forms. Later in life, Olga traded in her ballet slippers for sneakers and became an instructor in physical education. She received her BA from Hunter College in 1935 and her MA in Physical Education from Teachers College, Columbia University, in 1937. Olga continued her advanced studies at New York University from 1938 to 1943 and attended the International Olympic Academy, sponsored by the Hellenic Olympic Committee, Olympia, Greece, in 1966. While a student at Hunter, Olga was a member of the Varsity Fencing Team (1935)  the first team to bring the Intercollegiate Fencing Championship to Hunter College. Later, as a member of Hunter's Department of Physical Education, she formulated the syllabi for group and class instruction of fencing. Olga began her teaching career at Hunter College in 1937. Olga's areas of specialization were teacher education (physical education programs in the elementary and secondary school, recreational and educational programs in all folk forms on the elementary, secondary, and college levels), and the history of dance (study and research of folk dance forms  ethnic, traditional, derived, and contemporary folk forms). In addition to teaching at Hunter, Olga was very active with administrative and other service on behalf of the college, both departmental and college-wide, serving on many varied committees. During Olga's time as a student and many years as a member of the faculty, Hunter College was recognized as the largest women's college in the world. The sudden transition of Hunter to a co-educational college presented a forceful professional challenge for Olga. She succeeded in meeting that challenge by convincing the chairman and other members of her department that folk forms of dance should be a required course in the activity program of men's physical education majors. As a result, all men majoring in physical education were required to include a one-credit course in folk, square, and ballroom dancing. The success and interest in this course and the continuing participation of men in Olga's graduate co-educational course reached the Board of Education. In 1963, the Board of Education of The City of New York / Bureau for Health Education, in cooperation with Hunter College Department of Physical Education, sponsored a city-wide Conference for Men and Women of Health Education in Junior and Senior High Schools. Olga demonstrated her methods and materials for classes of all-boys' and co-educational groups. The entire demonstration program was kinescoped without any previous preparation or rehearsal and is on video, titled "Dance--A Sport for Men." Olga attended or taught at every folk dance summer school from the Atlantic to the Pacific. She also presented and / or conducted programs in folk dance forms at professional conventions at all levels  national, state, and local -- and was a guest teacher at many colleges and universities nationwide. As a consultant, Olga was involved with the educational dance programs for the Boards of Education in New York, New Jersey, Connecticut, and Pennsylvania. The Teachers' Dance Handbook, Number One, Kindergarten to Sixth Year (1959), with Frank Kaltman. Chinese-English, Chinese-Malaysian, English, and Hindu editions of a collection of sixty dances described in this book were published in the early 1960s. Aside from her Teacher's Dance Handbook, Olga is best known for her association with Folkraft Record Company, Newark, New Jersey. 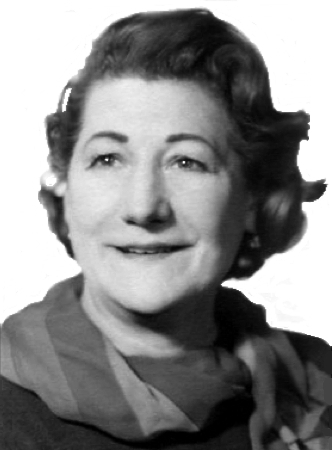 As Folkraft's Educational Dance Consultant, Olga supervised the production and publication of education dance records and annotated more than three hundred of the recorded dances, including American and European folk, square, ballroom, and party dances. The United States Information Department has cited these records as examples of American educational recordings and recommended their study as an example of American folk culture. They have been listed for free entry in thirty-one foreign countries where we have an educational exchange program. These recordings are also teaching aids in the school systems of many major cities in the United States. After 35 years of active service, Olga retired in 1972 as Associate Professor in the Department of Physical Education and Department of Education at Hunter College. In 1994, Olga received the San Antonio College Dance Award (SAC) in recognition of her effort to preserve folk dance through documentation. Olga Kulbitsky passed away quietly in her sleep on April 13, 2003, at the age of 89. While her vast knowledge and expertise will be missed on a personal level, her legacy to international folk dancing will live forever. Dance Syllabus for High School and College. Kulbitsky, Olga. Newark, N.J.: Folkraft Record Co., n.d.
Dance Syllabus for the Elementary School. Kulbitsky, Olga. Newark, N.J.: Folkraft Record Co., n.d.
Dance Syllabus for the Junior High School. Kulbitsky, Olga. Newark, N.J.: Folkraft Record Co., n.d.
Teachers' Dance Handbook #1 (Kindergarten to 6th year). Olga Kulbitsky, and Frank L. Kaltman, Newark, N.J., Bluebird, 1959.